“I shall never forget Mr Boulton’s expression to me: ‘I sell here Sir, what all the world desires to have – POWER’,” wrote James Boswell of his visit to Soho Manufactory. 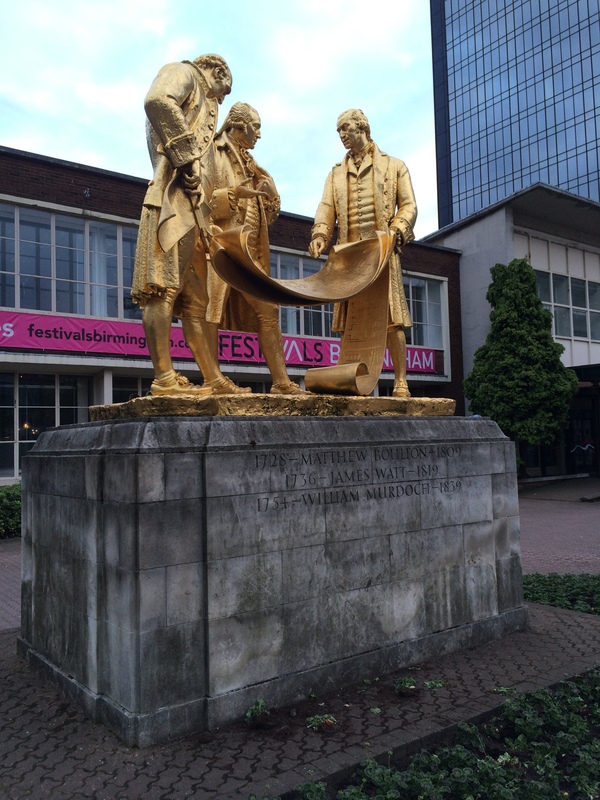 Just a few miles from the centre of modern Birmingham, the diarist and author had come in 1776 to see the new steam engines that Boulton was producing with James Watt. Whilst they weren’t the first such machines to be made, they were the most efficient. The technology that Watt had originally invented in Scotland – and was now further developing at Soho – not only made the pair very rich, but was instrumental in making Britain the world’s first industrial nation. All that remains today of what was, at its greatest extent, a 200 acre estate at Soho is Soho House, a fine Georgian detached property where Boulton lived for many years. 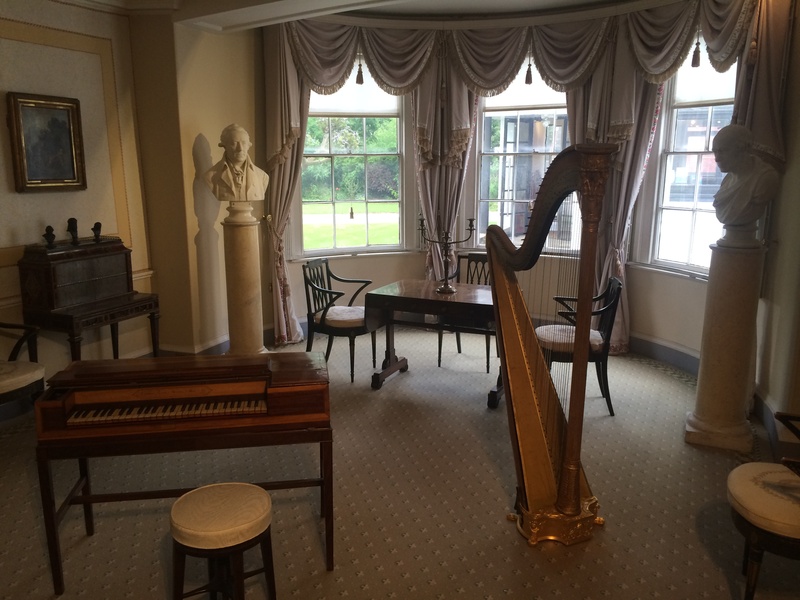 The house, which has been restored to its 18th century appearance and is now managed by Birmingham city council’s museum service, is set in only a small garden with a tearoom and visitors’ centre in a separate building. If you miss the small brown sign denoting ‘Soho House’, you could easily miss the turn off from one of the main routes into Birmingham for this gem hidden down a side street. When I visited on a Sunday afternoon in late May, the handful of visitors seemed to be outnumbered by the friendly volunteer room attendants. Boulton was of course right to recognise the importance of power – and new ways of generating it – as it was in considerable demand in the 18th century. For some time mine owners had used steam engines to pump water out from deep coal seams, allowing new sources of ‘black gold’ to be reached. But now others were also crying out for more efficient power – manufacturers, including owners of textile mills, breweries and iron works all wanted to reduce costs and produce goods that could be sold to consumers on much larger scales. The resulting efficiencies from the engines sold by Boulton and Watt helped entrepreneurs to bring a range of wares into the reaches of both the new middle and working classes. When Watt first came to Soho in 1775 with the patent for a steam engine (first obtained in 1769), Boulton had wanted one of the devices for Soho Manufactory, to pump water to a wheel powering the machinery that rolled and polished metals. Boulton was at that stage a successful industrialist who was selling his wares all over the world. Josiah Wedgwood, said in 1767 he was “…the most complete Manufacturer in metals in England.” And the place where Boulton lived and worked – Birmingham – was becoming one of the most innovative places in the country with residents registering over three times as many patents as those of any other British town or city between 1760 and 1850. Born in 1728, Boulton started work in his father’s buckle and button making business in Snow Hill around the age of 16 or 17. 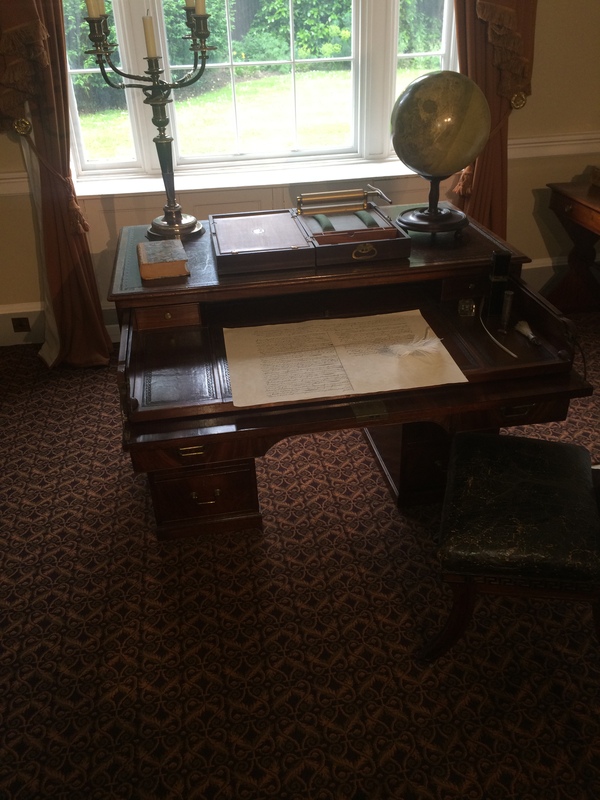 But when he inherited the family business in 1759 he had bigger ambitions and after two years acquired the lease for 13 acres of land on the outskirts of Birmingham (he would eventually own 200 acres). Business boomed, as he added steel jewellery, Sheffield plate tableware, clocks and much more besides to the range of what he already manufactured, and by 1770 the Soho Manufactory was said to be employing some one thousand workers. He later built the Soho Mint, the first steam-powered mint in the world and won a lucrative contract to supply the government with copper coins. On the steam engine side of the business, progress was initially slow and for some time Watt’s engine did little more than what Thomas Newcomen’s existing invention already did – pump water out of mines. In 1781 Boulton conveyed his frustration in a letter to Watt. “The people in London, Manchester and Birmingham are steam mill mad. I don’t mean to hurry you but I think in the course of a month of two, we should determine to take out a patent for certain methods of producing rotative motion from…. the fire engine…. There is no other Cornwall to be found, and the most likely line for the consumption of our engines is the application of them to mills which is certainly an extensive field.” Progress was of course made, the break-through coming in 1789 when Peter Drinkwater ordered an eight-horsepower machine for his Manchester cotton mill. Soho Foundary was constructed in the 1790s to build and supply large cast parts for in-demand steam engines. Boulton and his second wife, Ann, moved into Soho House in 1766, five years after acquiring the property as part of the deal for the adjoining land (where he set-up his Soho Manufactory). The industrialist spent huge sums transforming the home and bringing it up-to-date, creating rooms for all the fossils he had collected from around the world, space to conduct scientific experiments, an extensive library and he had a telescope on the roof. He brought the famous London interior designer Cornelius Dixon and furniture maker James Newton to help make it a fashionable gentleman’s residence. Before the 18th century only aristocrats would have had properties as exquisite as this. He entertained some of the brightest brains of the day at Soho House, including members of the Lunar Society, a group of prominent scientists and industrialists, including Erasmus Darwin, James Watt and Josiah Wedgwood, who met at each other’s homes to discuss their latest scientific ideas. Boulton died in 1809 and, although his son carried on manufacturing at Soho, in 1862 Soho Manufactory and other buildings were demolished. The land sold off for the private Victorian housing near the property. Soho House itself has since had a number of uses, including a vicarage, private school for girls, a hotel and a police hostel. 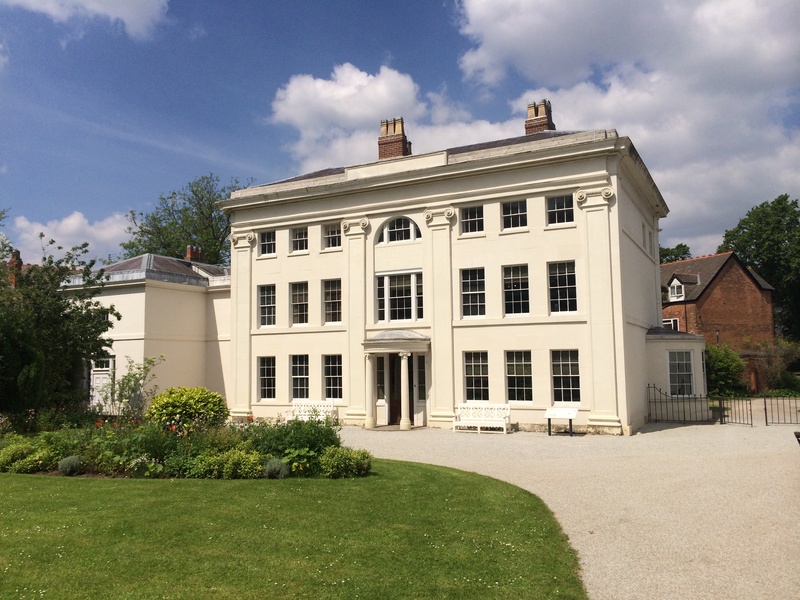 In 1990 Birmingham City Council acquired the property and began the process of returning it to its former glory, giving visitors a glimpse of what it must have been like when Boulton and his family lived there in the 18th century. And while there’s a small garden remaining behind Soho House, the land attached to it stretches for little more than an acre, a far cry from the 200 acres when Bolton was alive. 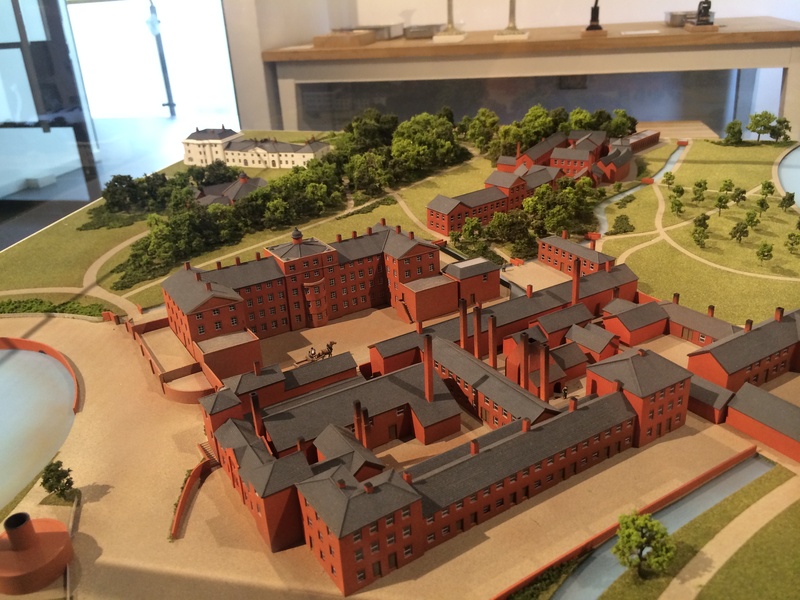 In the visitors’ centre attached to the home a scale model shows just how expansive the estate was with its landscaped gardens, various workshops, lakes and a tearoom serving tourists who came to marvel at what was being produced (and visit the showroom displaying some of Boulton’s best wares). The partnership between Boulton and Watt was one of the most successful – if not the most successful – partnerships of the industrial age. Together they sold the design for over 450 steams engines which were installed the world over, reaching plantations as far afield as the West Indies. But this was so much more than about just marketing a best-selling machine. Creating a more efficient type of engine – that for the first time had applications beyond simply pumping water out of flooded mines – fundamentally changed the landscape of Britain. Manufacturers were longer reliant on the power from fast-flowing rivers, so factories moved to towns and cities, coal-fields and iron making districts. This was the birth of the Britain that we live in today.